There’s a key leadership lesson buried in this amazing story. 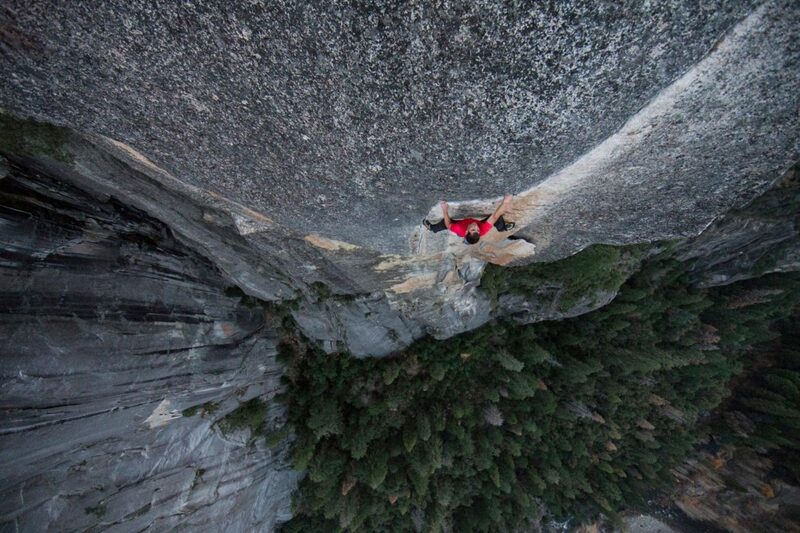 “Free solo” means there’s zero margin of error. Rock climbers typically ascend while wearing harness and rope. As they climb, they clip their line to anchors on the route, giving them a safety net if they lose their grip or misjudge their footing. Alex climbed nearly 900m with no equipment in just under four hours. While Alex doesn’t put it in these terms, his mental discipline reflects something Carol Dweck has called a growth mindset. Growth Mindset is a key Leadership Essential that GOinnovation facilitators use as one building block among many in designing custom development solutions for individuals, groups, and organizations. The basic gist: broadly speaking, it’s possible to differentiate a Growth Mindset from a Fixed Mindset in practice by comparing how each processes a fear of failure. Alex Honnold demonstrates a growth mindset: he doesn’t discount the possibility of failure, but he recognizes that he has a choice in how that possibility influences his mindset (which inevitably influences words and actions, since human beings are unified wholes). Through many hours of physical and mental preparation, Alex was able to discipline himself to set aside anything unhelpful to the task, including a fear of failure. Rather than making him oblivious to the real possibility of failure, this enabled him to lower its probability by focusing all of his energy only on what will help him. – How do you process failure (both possible and actual)? Do you see it as an opportunity to learn, or as a knock against your own self-worth or potential? – How do your direct reports process the possibility of failure? Have you (inadvertently or explicitly) taught them that failure is to be feared? – How do you process failure with direct reports after the fact? Over and over, we find that truly great leaders and emotionally intelligent teams are distinguished in part by whether they fear failure or treat failure as (1) inevitable and (2) a fertile learning opportunity. Here’s the truth: you will fail. Your direct reports will fail. Your team will fail. Before you get there, reflect on your current attitude toward failure. If you fear or loathe it, you’re paradoxically making it more likely to happen–and less likely that you’ll learn from it and be resilient. On the other hand, if you accept that it’s likely and choose to set aside the fear of it, you’ll enable yourself and empower your team to direct more energy toward getting done what needs to be done–just like Alex Honnold did as he prepared for the single greatest rock climbing feat the world has ever seen.